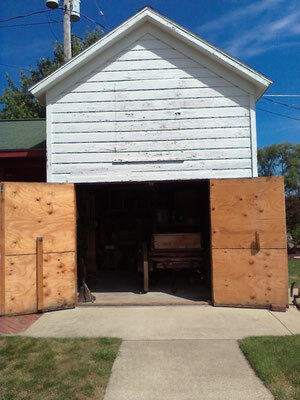 Several years ago, the Zeeland Historical Museum was given the small coach house (also know as the carriage house) on Mrs. Compagner's property at the high school (the only home left when the new school was built) with the understanding that the coach house, or small barn, could be removed to the museum after her death, which occurred a few weeks ago. The property was the birthplace of Paul de Kruif, noted science writer and Zeeland native son. After residing there the family moved to a larger home, now Park View on Central Avenue. Plans now are underway to make arrangements for the removal of the coach house. 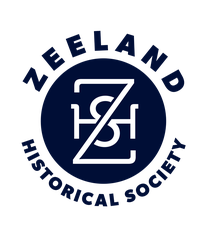 Randall Dekker, museum board president, has appointed Earl Vanden Bosch and Harvey Knoper to make recommendations back to the board as soon as possible. Funding for the move will be determined after the building and its site in the museum's garden are studied. A cement floor and new wiring will be needed and possibly some repairs. Watch for our "BARN RAISING" this summer! 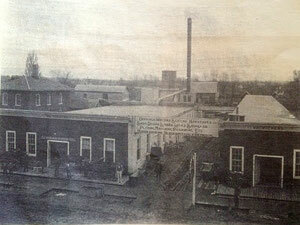 The William Wichers Company stood on east Main, on a site now occupied by Cityside Middle School. 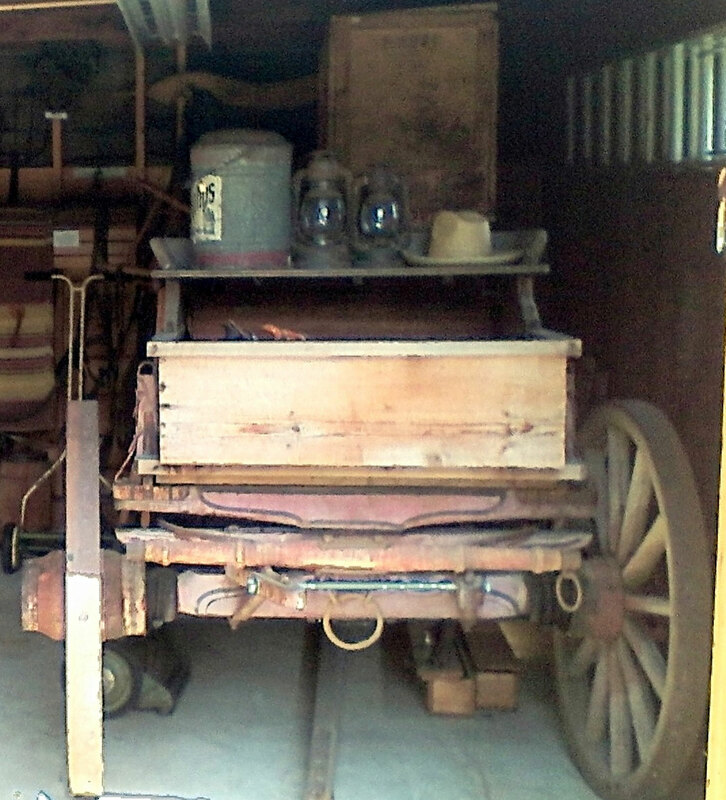 This large wagon housed in the carriage house is part of the barn. The wagon was made by the William Wichers Company in Zeeland. Gray skies prevailed but the mood of the crowd was sunny as the Dekker Huis "barn" behind the museum was dedicated on Saturday, May 17, 2003. The star attraction in the Dekker Huis barn is the Wichers wagon. 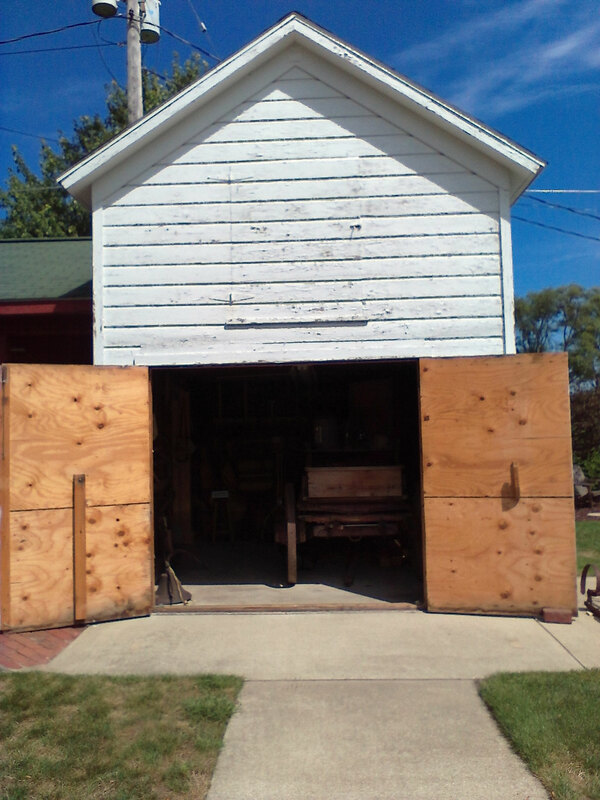 Given to the museum by Harold Vanden Bosch, it sat for many years in his barn on Paw Paw Drive. Upon completion of the new building, it was moved to the attached carriage house, which at one time had belonged to the De Kruif family. The huge wagon and manufactured in Zeeland by the Wiiliam Wichers company. Wichers was born in 1848 in the province of Gelderland, Netherlands. He immigrated to Michigan in1860, joining the well known colony of Dutch settlers who had come more than a decade earlier. Here he founded a wagon, carriage and furniture manufacturing plant. 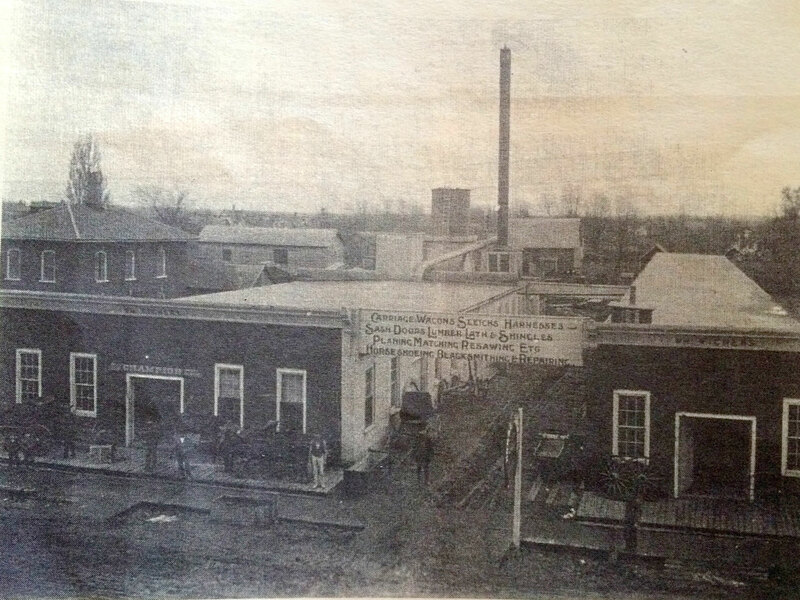 This business eventually became Wichers Lumber Company, which was operated by his eldest son, John. 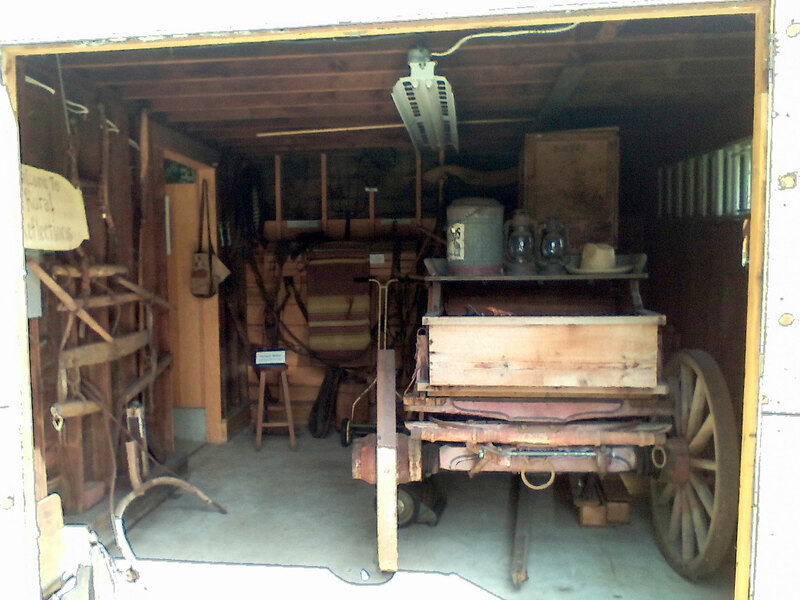 Displayed in the wagon are some tools used by William De Pree while he worked at Wichers.